Hello some people are lucky and have the perfect layers of snow others like me are stuck with freezing temperature and rain. These type of weather conditions can bring you down so this blog post is ways to stay as positive as possible when the weather outside is cold gloomy you know those type of words! 1. Get your planner stuff out. I love planning, I love my planner. I also love discussing upcoming things in the year. 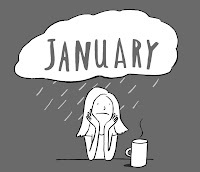 I like to get organised in January so I know what needs to be done and what amazing things can come this makes me really motivated to getup and go and see what I can achieve today. 2. I love going through pinterest. For inspirations, goals and DIYS that I can try. Pinterest is my go to for quotes and inspirations so if your ever need a boost just scroll through pinterest I can guarantee you'll find something! I will also post my favourite quotes for inspirations and motivation soon. Go check out my pinterest - Vintage Haxs. If you didn't have a good 2015 and you didn't love you then change don't be afraid to change. Go out shopping with your friends buy new clothes anything you want, this is what I live by if you down not happy go shopping surround your self with your favourite people, you'll complete forget that its horrible outside as you'll walk out with lots of bags and a massive smile. 4. Redecorate your room- change things up it's a new year it can be new!! 5. Have a warm tumblr pamper and Netflix day! Sooo these are five things I looovvee to do this January to turn those January blues into January reds and yellow and pinks and WARM COLOURS! !